Windows 10 runs on PCs powered by ARM processors. This page provides the information for you to learn more about the platform and get started developing apps. We also encourage you to provide your feedback by using the links at the bottom of the page. 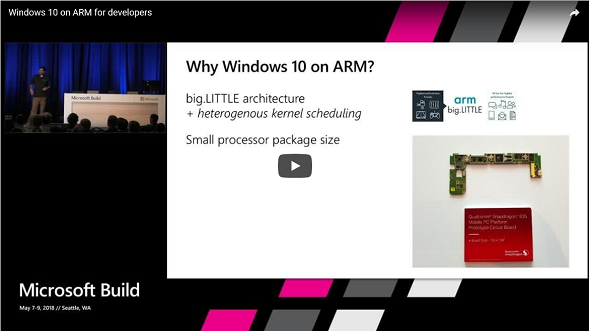 Watch and learn how Windows 10 runs on ARM. 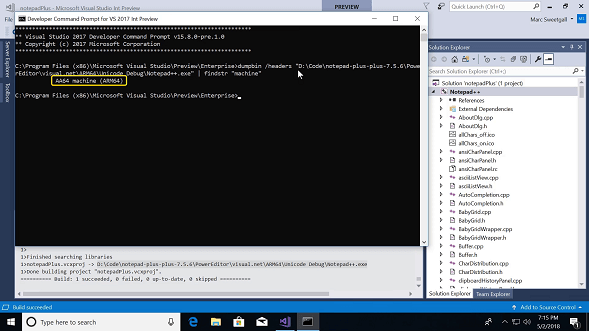 Learn how to install the ARM64 tools for Visual Studio. Then we’ll walk you through the steps of creating and compiling a new ARM 64 project. Get deep understanding of how Windows 10 runs on ARM64, and get a feel for apps and experiences on this platform. Get to know the platform by looking at these resources. Check out the documentation to understand the basics. Find out all about this key feature of Windows 10 on ARM. Start tailoring your apps to Windows 10 on ARM and take advantage of the features available there. Check out this blog post where we walk you through compiling your apps as ARM64 to run natively on Windows 10 on ARM. 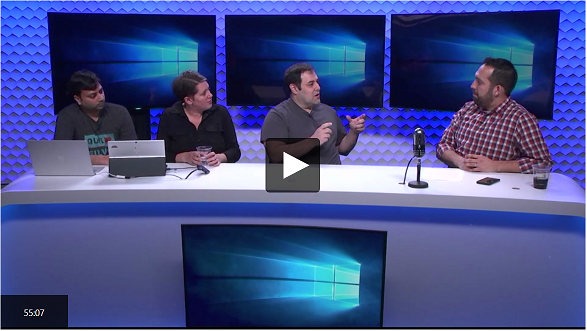 Follow this guidance to set your Universal Windows Platform (UWP) apps up for success. Get your code running smoothly on Windows 10 on ARM. Recompile your drivers for ARM64. Develop your x86 apps to perform their best on Windows 10 on ARM. We are continuously improving our product by leveraging feedback from you and our existing customers. If you have an idea, are stuck on a problem, or just want to share how great your experience is, these links will help you. Did we miss something? Do you have a great idea? Let us know in the Feedback Hub. Found a bug in our platform? Email us with the details. Have you found an issue with our docs? Do you want us to make something clearer? Create an issue on our docs GitHub repo.